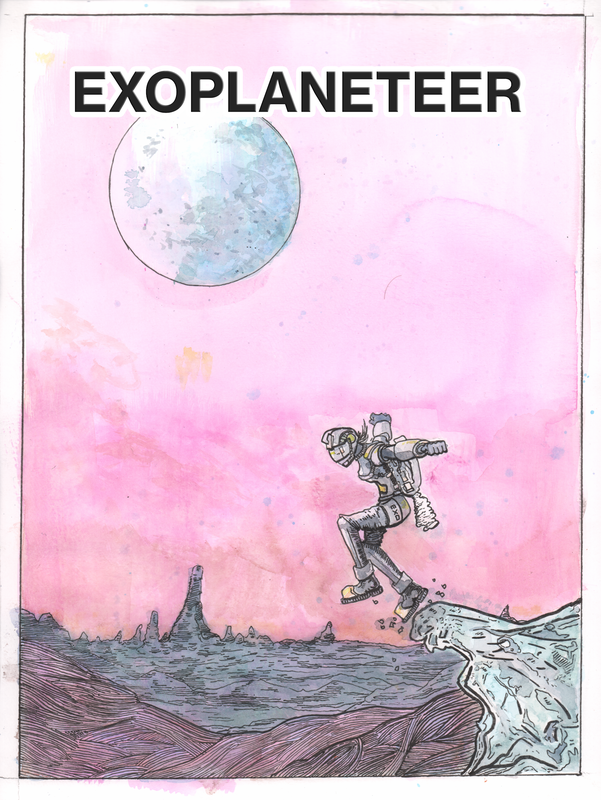 I am currently writing, illustrating and providing my own colours for a comic named EXOPLANATEER about astrobiology and the death of the human race. That is until my Promarkers run out. Inspired by the scientific antics of Exocast, a podcast about exoplanets, the series will detail the journey of a lone explorer searching for a new home for the human race amongst distant stars and misshapen moons. ST IVO: A fourteen page steampunk comic strip which I doodled absentmindedly inbetween other things. There is no dialogue but it was designed in such as a way as to make some narrative sense without. SELFWARE: A four page strip about brains. In essence a rambling soliloquy about paranoia and the modern world. It was also my first full attempt at digital colouring. You can read it here.